Time and era is changing and along with time mindset of people have also changed, there was a time when virtual games like Mario, contra were used for the purpose of entertainment. Later in 2000-01 Playstation was launched that first time gave chance to people to experience high graphic games. In 2004 PlayStation was launched that was the foundation stone of the digital era and since then we all have witnessed a lot of innovations till now and this trend is keep changing. 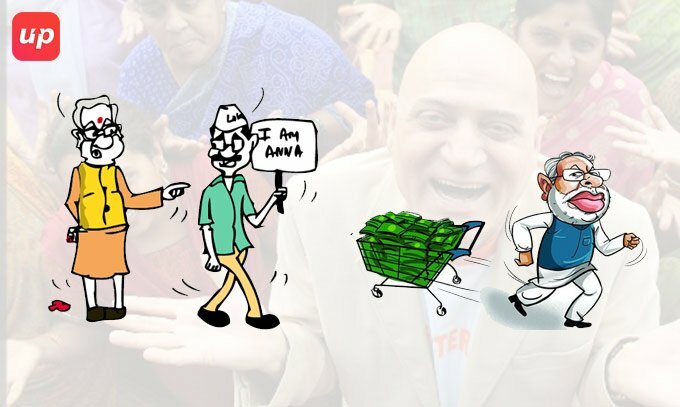 In India people love to mock and make fun of politicians, earlier newspapers used to make funny cartoons of politicians later India Today Group started making So Sorry that is still very popular among people but now in this digital era mobile apps have also jumped into this trend. There are various mobile apps are available on play stores that can entertain you. 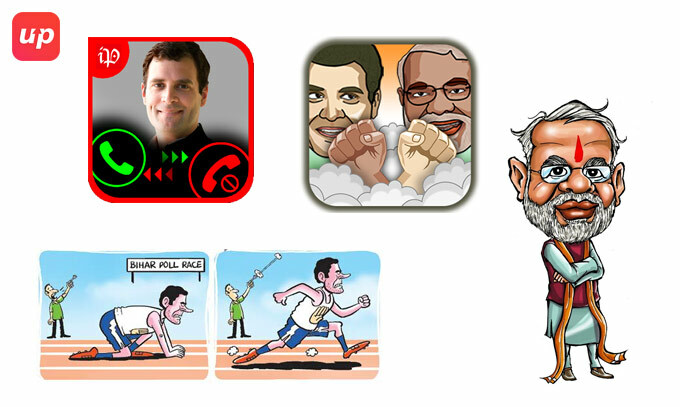 1: Rahul Gandhi Run: Just ahead of 2014 general election Rahul Gandhi started delivering speech for the campaign of his party and since then a lot of jokes have been created on him even mobile app development companies could not stop themselves to keep away from it. The game Rahul Gandhi Run is allegedly inspired from 90’s famous game Mario in which Rahul Gandhi has to run, jump and collect congress’s election symbol, the more election symbol Rahul would collect the chances of becoming next Prime Minister would be higher. This game has 3.6 rating with 156 reviews and more than 2000 users are enjoying this awesome game. 2: Rahul Gandhi Fake Call: It is an app that consumes only 2MB of your mobile space, with this app you can make fake calls to your friends, family members, boss and others with profile picture & ringtone of Rahul Gandhi. You just have to go to the settings and select Rahul Gandhi’s picture from image gallery and schedule a fake call. This game is only for the entertainment purpose, it has 3.7 rating with 79 reviews and more than 15000 installs till now. 3: Run for 272+: This game was launched ahead of 2014 general election when election fever was on the head. This game gives option to users to choose their desired prime ministry candidate. 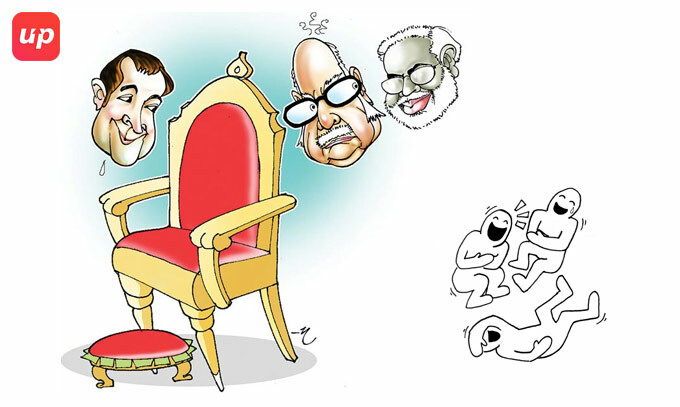 A user has to choose among Narendra Modi or Namo, Rahul Gandhi and Arvind Kejriwal, after choosing the favourite candidates user has to run through different states including Delhi, Gujrat, Maharashtra, Uttar Pradesh, Bihar, Tamil Nadu and others against opponent candidates to collect seats. If user touches magic number of 272 then game would be finished. This game consumes 14MB space of mobile. This game had got amazing reviews by users and average reviews is 4.5 with more than 10000 installs. 4: Modi vs Rahul Gandhi Epic Battle: It is a fighting game, in this game a user has to choose either Rahul Gandhi or Modi and start fighting. User can use L button for left punch, R button for Right punch and block button to block the opponent. This game was launched in April 2014 and has 4.1 rating with 80+ reviews. 5: Flying Modi: If you are anti Modi then this game is not made for you, it is a complete Pro Modi game in which you have to help Modi again to become prime minister after crossing hurdles like Arvind kejriwal and Rahul Gandhi. This game has 4.5 average rating with 34 reviews. It was a very prevalent game during demonetization that has several features, the average rating of the mage is 4.0 with 168 unique reviews and more than 10000 users have installed this game. The size of the game is 9.43 MB and it was last updated on December 2016. It has good average rating of 4.4 and 100+ reviews. Conclusion: A Good Mobile App Development Company always tries to innovate in features to engage the users with an app. But app developers should keep in mind that the game would not hurt the sentiments of anyone belonging to any political party because these are the elected leaders by the people and they should be respected.